Beautiful and bold, today's Germany is an economic powerhouse with progressive culture. Many visitors are also interested in the Germany of old - dark forests, fairytale castles, friendly beer gardens, alpine pastures, and, of course, the two World Wars. 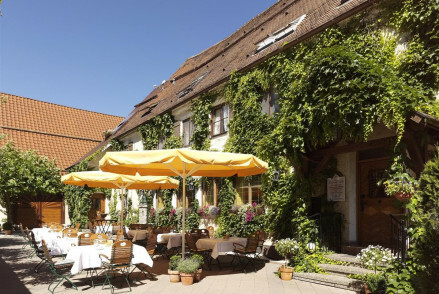 Whatever your reasons for visiting Germany, you are bound to find surprises, the same can be said for many of the best places to stay in Germany. Berlin is exciting. It's one of the most fascinating world capitals, now a glamorous financial and cultural powerhouse, but in recent memory a gritty and dangerously divided city. There are iconic sights everywhere you look, both old and new. Even the communist ruins have been attacked with colour by street artists and are now strange galleries to the dramatic changes this city has seen in the last few decades. You can still walk along the Berlin Wall, past Checkpoint Charlie, or see the many monuments to WWII, but look further back and you'll see the grandeur of the Prussians. Or instead choose to live in the artsy, foodie, lively present where Hollywood blockbusters are filmed and the most forward-thinking international artists call home. Munich, Frankfurt and Hamburg vie with each other to be the second city. Of these three, Munich is probably the city more visitors are interested in - with a beautiful location on a river plain in Upper Bavaria. Carefully restored Bavarian architecture, beer, sausage and a reputation for very high standards of living. The city's charming motto: ‘München mag dich’ (Munich Loves You) probably helps people feel welcome even before they hit the friendly pubs. Munich is definitely the centre of Germany during Octoberfest, but throughout the rest of the year it gives Berlin a run for its Euro with a collection of museums and galleries, but still retains a charming nationalistic provincialism that makes it feel somehow more German. As Germany's largest port, Hamburg has always been an open, cosmopolitan city and these days it is also the wealthiest, rich on media as well as the shipping trade. It doesn't have the international kudos of Berlin or Munich, but it's a vibrant place to visit, home to a wonderful blend of cultures, trends and traditions. There's plenty of development going on as well as plenty of fun to be had! Meanwhile, there's also Frankfurt, Germany's business capital - with glistening skyscrapers and industrious bustle. It's not the most obvious destination for a city break, but there are some really beautiful buildings around Römer Square and Frankfurt's museum scene is second only to Berlin's. This is also Germany's fashion capital. If you have time to get away from the cities then you'll love the fairytale beauty of Bavaria and the Black Forest, or you can head off exploring the wonderful traditions of the Rhineland and see something of 'old Germany'. Enjoy a spa break in Baden Baden, visit Cologne's amazing cathedral, or swoon at the beauty of Heidelberg: timbered, Baroque Germany at its best, the inspiration for many a song, poem, story or painting. Hamburg's Miniatur Wunderland is a spot that the whole family will love. The world's largest model train exhibit, it covers not only Germany's landscape but also those of a number of European countries, as well as having a WWII exhibit. A delightful visit! Europa-Park is one of the world's most popular theme parks - drawing in over 5 million visitors a year. There are lots of different areas, offering plenty of rides as well as restaurants, focussing on a variety of cultural themes. You'll be pleased to hear that the waiting times are not nearly as bad as Disneyland. Cologne's Cathedral is stunning - and you'd hope so, as it has been under construction for over 500 years! This magnificent Gothic structure features stunning architecture as well as boasting superb views of the city. Head around Stuttgart's Mercedes-Benz Museum with an audio guide and marvel at the collection of automobiles on display. This is so much more than just a car museum though, as they intersperse world history with that of their company to great effect. The architecture of Rothenburg's charming Old Town is as quintessentially German as it gets. Wander around for a few hours and feel transported back in time to the Middle Ages. As alway, to be sure of booking one of the best places to stay in Germany then plan ahead. The Regent is a sophisticated hotel in the heart of Berlin, favoured by the glitterati for its traditional elegance and two Michelin stars. Expect panels, marble, Victorian landscapes and chandeliers. Lux 11 is just north-west of Alexanderplatz, not the prettiest of areas, but definitely where 'it's at'. Converted from an apartment block, what you get is pretty much a designer studio apartment with a kitchenette and rain shower. Downstairs is the Aveda Spa and Japanese/ Italian fusion restaurant, where you'll find some of the 'cool kids' hanging out. 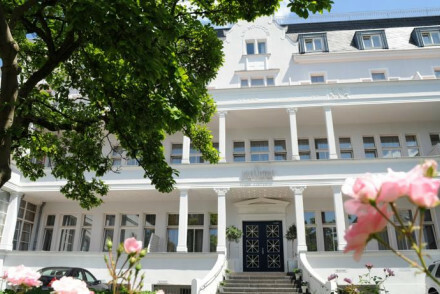 If you want to meet people stay at the Hotel Art Nouveau - a modern style pension located on the 4th floor of a beautiful Art Nouveau building in a nice part of Charlottenburg. There are 22 rooms, each with quirky, uber-modern design touches and a communal salon with plenty of excellent books and an honesty bar. Berlin's Casa Camper is popular and central, with a small gym, lively restaurant (that's also beloved by locals), and within striking distance of the trendiest areas. Scandi style comes to Berlin in the form of Ellington Hotel, a cool, all-white-and-natural-fibres style hotel behind a fabulous 1920s facade. More elegant than opulent, Munich's Charles Hotel is a contemporary five star property offering great views from private balconies, an extensive spa and a fantastic Italian restaurant. Hamburg's Gastwerk Hotel has been converted from a late 1890s industrial building and now offers character-filled, loft style rooms. Decor is all about the contrasts; rich wood and fabrics vie for space with stark metal and concrete. There is a bar and restaurant, plus spa if the stresses of the city get too much. Frankfurt's Villa Kennedy just oozes glamour... even the spa looks like a ballroom from the Titanic! Most of the decor is neutral, 1950s-ish, and while it's a business hotel, it doesn't really feel like one - though the business centre is quite something. The Hotel Adlon Kempinski is one of Berlin's grand dames, rebuilt on its old site directly opposite the Brandenburg Gate. The choice of many heads of state, this is traditional luxury at its best. The buffet breakfast is a pleasant surprise - excellent value and highly recommended. 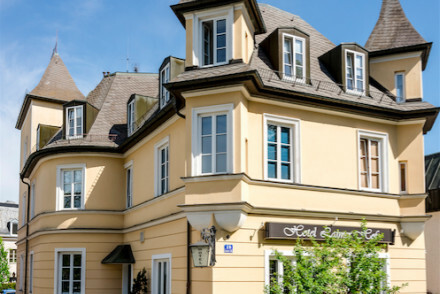 If you're looking for something a bit fresher, try Schlosshotel im Grunewald, converted by Karl Largerfeld, from a courtier's palace built in 1912. You are in the leafy suburbs outside Berlin, but as well as peace, you're surrounded by opulence and grandeur - marble, mahogany, velvet, parquet and rich oils. The Hotel Vier Jahreszeiten Kempinski offers a truly five star Munich experience, complete with a private butler, personal shoppers and use of their hotel limousine, if you so wish. The Bayerischer Hof Munich is one of Europe's finest hotels. Luxurious on a grand scale, boasting sumptuous accommodation, an iconic 13,000 square foot rooftop spa, private cinema, nightclub, bars and six restaurants - one with a Michelin star. The Belle Epoque is one of the few grand hotels in Baden Baden without a spa - but the Caracella thermal baths are just next door. 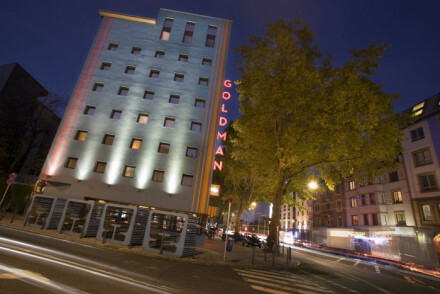 This hotel is all about elegant decor, with rooms furnished in different styles such as Empire, Louis XIV, Biedermeier, Victorian and Art Deco. Built in 1472, the Hotel die Hirschgasse Heidelberg is the oldest hotel in Heidelberg and the oldest student digs in Germany. Rooms and suites are traditional, yet luxurious, and there are great views of the castle. The restaurant also has a Michelin star. The Hotel Bachmair Weissach is a gorgeous Bavarian hotel right on the shores of Lake Tegernsee at the foot of the Alps. The Bavarian style isn't overdone; yes, there's plenty of wood beams on display, but it's elegant. The excellent Bavarian style gastro-pub is a great place to sample the local delicacies and there's a surprisingly excellent spa. Just north of Frankfurt, Schloss Hotel Kronberg is a wonderful castle which once belonged to an Empress. Converted into a 62-room hotel and surrounded by an 18 hole golf course, the castle has kept many of the antiques and artworks of its previous life - including some originals by Rubens, Titian and Gainsborough! 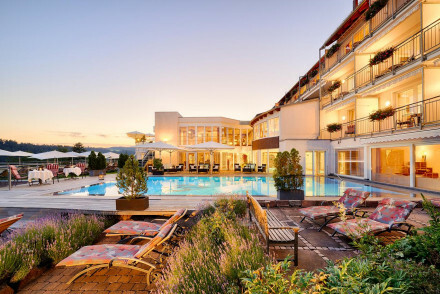 Brenners Park Hotel & Spa in Baden Baden is considered one of Europe's best spa hotels. They've been refining their service and treatments for 140 years, so they really do know what they're doing. They're also doing it in charming surrounds, with Black Forest views and every luxury. Berlin's Arte Luise Kunsthotel has 49 rooms each of which were designed by a different artist. Some are more wacky or eclectic than others and themes jump from time, to space, to travel. This is basically an art gallery with the guests forming part of the installation. 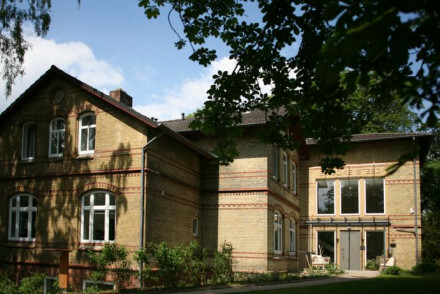 Brandenburger Hof caters to a design crowd with slightly deeper pockets, offering 72 rooms starting from £209 per night. Converted from a beautiful mansion block built around 1900, this hotel fuses the old and new in design with success. There's Bauhaus furniture, Japanese flower arrangements and Prussian handicrafts. Plus, each room comes with a copy of Architectural Digest. The restaurant has two Michelin stars and over 850 German wines! Das Stue is a 67-room hotel converted from a 1930s embassy building, situated right next to Tiergarten Park and the Berlin Zoo. Stylish with a contemporary twist, the building's age is well-respected, and augmented by the modern art chosen to decorate. The kitchen has a Michelin star. nhow is apparently the first hotel in the world to have a recording studio. As well as two of those, it has a spa, hip restaurant and futuristic rooms in bubble gum colours. Expect space age and giant plastic bean-bag chairs. If you're looking for something a bit funky but still sophisticated, you'll want Munich's Cortiina Hotel. It's has everything you need but with more style and the bar is one of Munich's hotspots. The Anna Hotel is another hotel with design flair in Munich. The style is sleek and contemporary with interesting modern paintings, sculptures and jazzy coloured lights and details. The location is an easy stroll from the station and most of the major attractions. Although it might look like a throwback to the 60s or 70s, undoubtedly one of the best places to stay in Hamburg is the boutique 25 Hours. The rooftop terrace is perfect for hot summer days, and rooms are stylish if not a little futuristic. It's great value, too. If you're ever dreamed of sleeping in a 'chill out room', Frankfurt's The Pure has got to be on your list! It's ALL white. Really. Almost EVERYTHING is white. Not just the linen and the staff uniforms, also the sofas and beanbags, the bar, stools, and even a lot of the art is white with a bit of black. 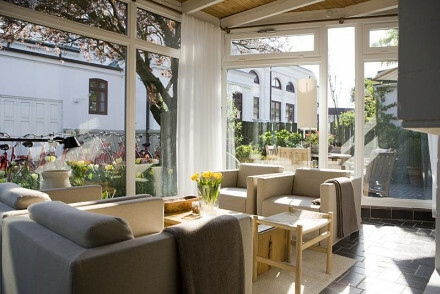 Welcoming guests since 1937, Laimer Hof is a charming 19th century villa turned B&B in the heart of a quiet residential district of Munich. Family run, it offers twenty-three fresh, simply decorated bedrooms, each slightly different. The Heidelberg Suites have grown-up class. The decor is modern but elegant, and there's plenty of noteworthy art. Centrally located, right by the 'Old Bridge', it boasts stunning views across the river to the old town and the castle. The hotel's restaurant is on a boat, so the views as you dine - and float - are an ever-changing pleasure. There's also a rooftop bar, which thankfully stays on the rooftop. The Grandhotel Schloss Bensberg is a spectacular Baroque castle with views over Cologne. As well as the beautiful building and views, guests benefit from a three Michelin-starred restaurant, a golf course, a top of the range spa, and some really magnificent public spaces. If you think you'd prefer the privacy of a self-catering option then browse through the wide variety available online with our partner Booking.com. There's never really a bad time to come to Germany, though the weather's obviously nicest in the summer months. Wander around open-air festivals and relax with a refreshing couple of pints in a biergarten. Spring and autumn are great times to come if you want to avoid the crowds and pay less for accommodation. The nature turns a series of wonderful colours - perfect if you're looking for a country escape with plenty of hiking. In winter the temperature plummets, though Germany's many Christmas Markets and generally festive spirit makes it a superb time to visit. Enjoy a warming cup of Glüwhein as you wander around the eclectic variety of stalls. Germany boasts a number of international airports such as: Berlin Tegel Airport, Munich Airport, Düsseldorf Airport, Frankfurt Airport, Cologne Bonn Airport and Stuttgart Airport. The airports are all well served by public transport links to their respective cities and surrounding areas. Browse though our list of all the best places to stay in Germany. Widen the net to look through our choices of the best places to stay in Switzerland or Austria. Warm and personal service at this cosy 19th-century villa B&B. A hideaway from the bustle with bright, fresh rooms - white washed walls, wooden furniture, brass bedsteads. A great choice for families and those on a budget. 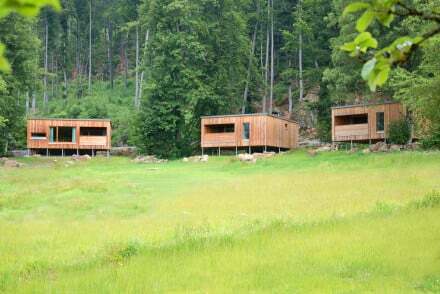 Chic wooden chalets deep in the Bavarian forest. Pine clad throughout the rooms feel contemporary yet traditional, with minimal furniture, modern bathrooms and sink-into beds. Enjoy hearty regional cuisine in the restaurant, perfect after a day in the great outdoors. A tranquil hideaway. Hideaway - A real escape location, with private chalets in a secluded forest location on Harlachberg mountain. Split across two sites, this luxury hotel and spa has sleek interior design and warming soft furnishings. Set in the north of the Black Forest with spectacular views, choose between the cottage-style Hotel Krone or the more contemporary Hotel Lamm. Great for active holidays with family or friends. 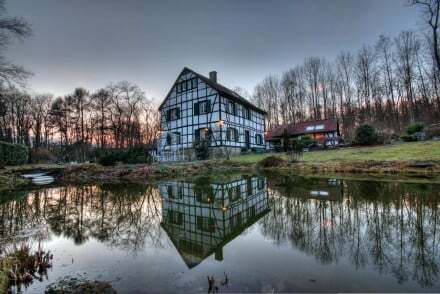 This idyllic, half-timbered guesthouse is nestled in the Swabian Alps. Cosy rooms have a rustic charm, incorporating local fabrics and the building's exposed beams as design features. Sample gourmet German cuisine in the stylish and contemporary restaurant. A friendly, family-run hotel. A small contemporary hotel with chic rooms and one self-catering apartment. Lovely breakfast terrace, bar, and warm friendly atmosphere. Family friendly too. 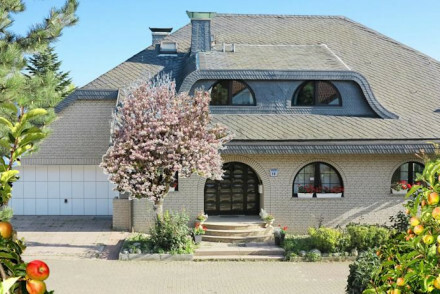 A beautiful villa away from the business of Dusseldorf city centre. Made up of stylish and comfortable suites, Villa Viktoria's spa and idyllic garden offer an opportunity for leisure and relaxation. The ideal place for an easy-paced city break. A highly recommended low budget option. Value chic - Düsseldorf’s first suite only hotel, with lovely gardens, classic facade and pillared terraces at a very reasonable price. Sights nearby - Just a ten minute drive to Königsallee and the historic city centre, perfect for exploring. Spa - Opportunity to relax away from the hustle and bustle of Dusseldorf city centre. Atmospheric student and artist friendly hostel in a pre-war brick-built factory. This characterful spot boasts a friendly cafe, courtyard, bright and quirky bedrooms, and dormitories for groups. A great value choice for groups of friends. 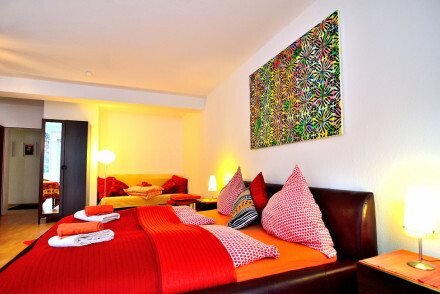 Groups - A perfect space for artistic groups travelling to Berlin, with dorm rooms and special prices for large groups. 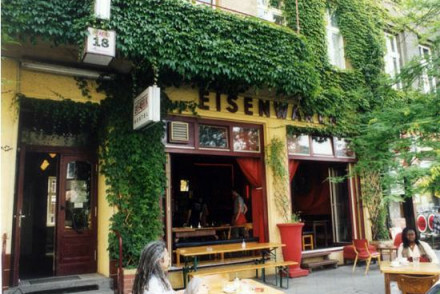 Value chic - Cool converted factory in the "multikulti" district of Kreuzberg, with casual cafe and courtyard garden. Sights nearby - The East Side Gallery, a painted stretch of the Berlin Wall, is within easy distance. A fabulous boutique slap bang in the middle of Berlin. 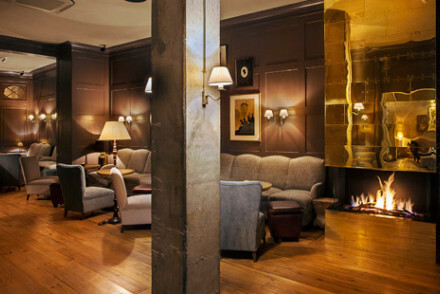 Eclectic modern interiors filled with attractive objets d'arts, a lively bar, cosy library with fireplaces, gorgeous rooms and suites, and a Parisian restaurant. Super cool, very central, and good value. Outstanding location - Positioned in the absolute city centre in the Berlin Mitte, with views of the Berliner Dom. Boutique - Stunning interiors house an eclectic collection of objets d'arts and modern design. City Style - In the ultimate central location with bags of personality and personability. A warm and contemporary design hotel in Rendsburg's historic centre. Plush beds and rich linens adorn the stylish rooms which are named after local streets and squares. Large windows look out onto the traditional cobbled streets or the quiet courtyard. A chic and conveniently placed guesthouse. Take to the north coast of Germany for this stylish B&B. Its modern rooms prioritise space and comfort rather than ornate aesthetics. Just a short walk away from the beautiful sandy coves of Glücksburg. Visit the magnificent Glücksburg castle, which played a crucial role in Renaissance Europe. Country Escape - A cosy country hotel, just a ten minute walk from the beach, with lovely gardens. Sights nearby - The Magificent Glücksburg water castle is nearby and well worth checking out. Birdwatching - Glucksburg coast is host to range of sea birds. Modern hotel in listed building on island of Norderney. Contemporary style rooms have elegant white furniture, some with balconies. Sauna and fireplace lounge; good breakfast and afternoon tea. Plenty of ways to relax in the town. Excellent value. 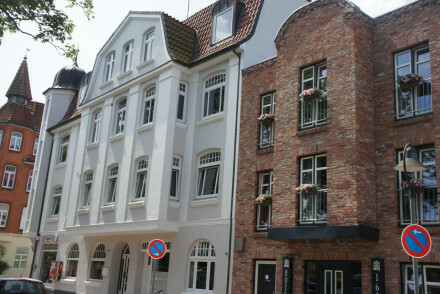 A selection of rooms and apartments dispersed throughout Bremen city centre. The style is modern, focusing on comfort and space and adorned with contemprary art. A great central choice for families or groups looking for self-catered accommodation in the centre of Bremen. Great value. Local exploring - Perfectly placed for exploring Bremen. Sights nearby - Visit the UNESCO World Heritage Site Marktplatz. A sweet low-cost B&B, in a suburb of Frankfurt. The simple rooms are spacious and comfortable with balconies facing out over the garden. With the city centre within easy reach and family rooms, it's perfect for families looking for a quiet place to stay whilst visiting Frankfurt. Value chic - With economy rooms, singles, and family rooms, it's the perfect choice for a holiday to Frankfurt on a shoestring. Great walks - Make the most of the beautiful walking all along the closeby River Rhine. Local markets - Visit the Hofheimer Wochenmarkt, a local market a mile from the hotel. Sights nearby - Take a trip into Frankfurt and visit the city's historic old town. Fun contemporary design, understated cool, and zero minimalism. 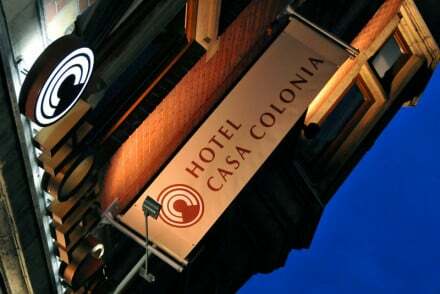 Colour themed bedrooms with all the modern gadgetry, lively bar, and restaurant with terrace. A great value spot with no designer frills. Enchanting B&B set in an idyllic forest, with themed suites and hand-selected furnishings, this makes for a perfect country hideaway. Take in the breathtaking views from the ample gardens and enjoy a continental breakfast in the bright and airy dining room. Stylish and homely, great for couples.